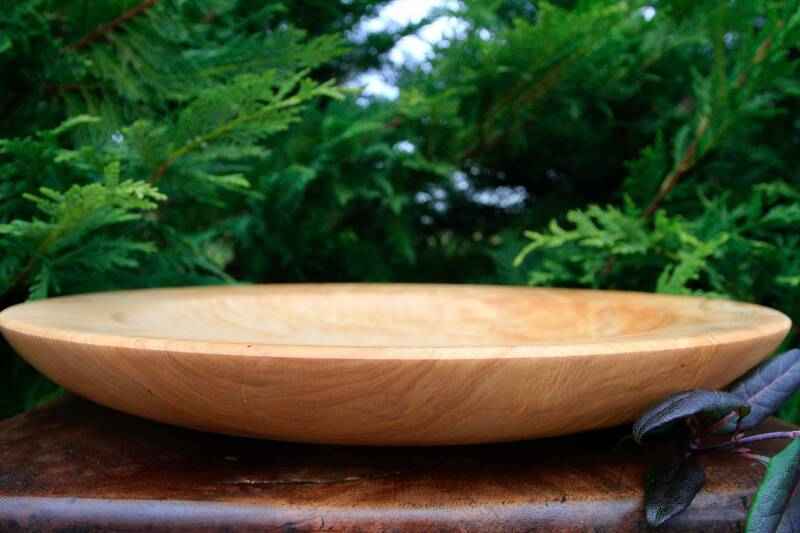 This a a serving platter that can also double as a fruit bowl or table center piece. 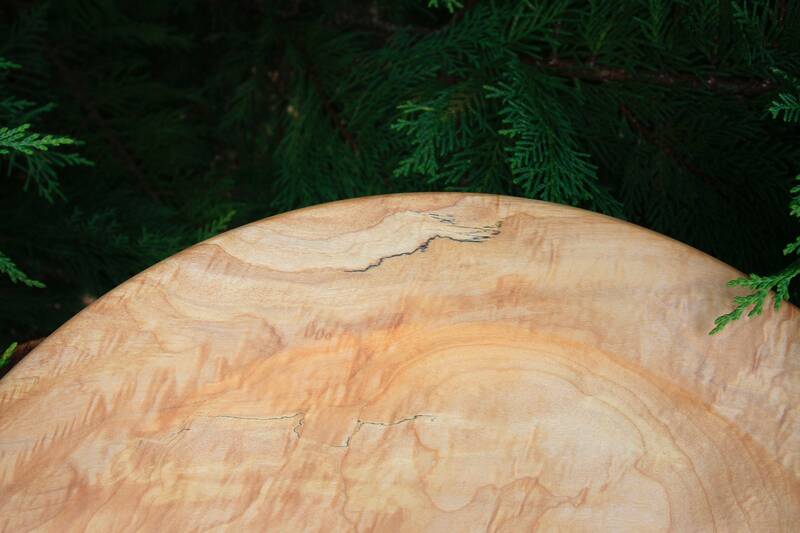 The platter has some really nice grain, a bit of figured mixed with some spalting. This robust piece of wood was left a little on the thick side to give it a certain degree of sturdiness. 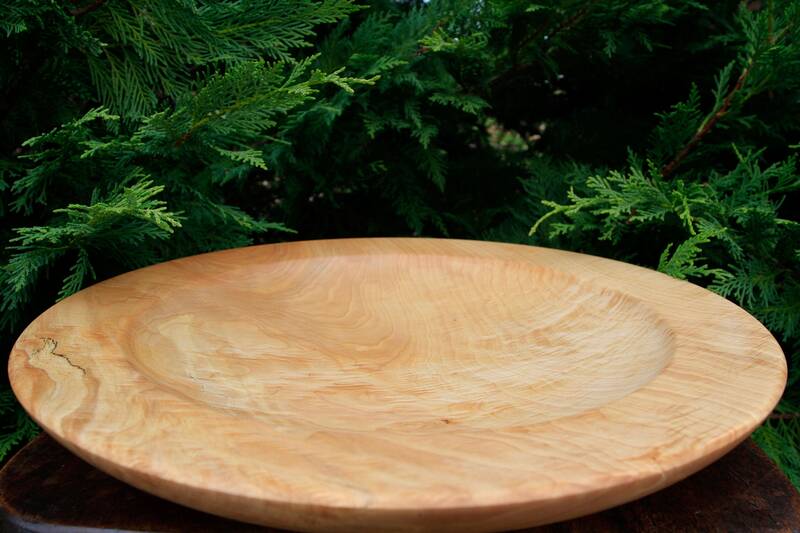 The platter has been sanded smooth to the touch and finished with multiple coats of food safe walnut oil. As with all pieces in my shop, no tree is ever harvested for the purpose of this craft. Instead, I find or am given the wood by arborists and homeowners who have already taken the tree down. Bowl Care: "Oil once a day for a week, once a week for a month and once a month for a lifetime."